Aerohive’s cloud-managed switches provide fast, reliable, and secure wired connectivity. Providing energy-efficient gigabit Layer 3-Lite capabilities with flexible PoE options, as well as a wealth of port density options, Aerohive switches cater for all of your access layer requirements. Critical capabilities, such as zero-touch provisioning, switch stacking, unified policies, and a powerful QoS engine make these switches a perfect complement to any enterprise network. A smarter cloud-enabled approach to network management that automates provisioning, simplifies configuration and support, and increases visibility. With unified access point, switching, and routing network policies, IT administrators can easily enforce end-to-end performance and security policies regardless of connection type or location. If you thought cloud-managed switches made life easier, wait until you see Aerohive’s cloud-enabled switch stacking for Aerohive and Broadcom FASTPATH®-based switches. Combining multiple cloud-managed switches into a single stack provides increased optimization, reliability, and faster troubleshooting. Aerohive’s unified management policies extend to Dell N-Series switches for greater flexibility. Deploy thousands of Aerohive and Dell switches in a matter of minute, then centrally manage, monitor, update, and troubleshoot as needed with a comprehensive suite of reporting capabilities and tools including cloud-enabled SSH and packet captures. No matter which of our switches you choose, you will experience next-generation cloud technology that is inherently scalable, allowing you to expand from one switch to thousands. Easily manage and support multiple locations from a centralized cloud management platform and get the most from your infrastructure with intuitive workflows and advanced device-level access. The SR2208P is a fanless desktop switch that offers quick and easy wiring closet extensions. The SR2224P is an entry level access switch offering simple wiring closet expansion along with ease of management and scalability. The SR2324P is a premium stacking-capable access switch provides high bandwidth and port density access on the network edge. The SR2348P is a top of line stacking-capable access switch with premium port density and ultra-high PoE budget. The SR2024P is an entry level access switch with integrated branch routing functionality. 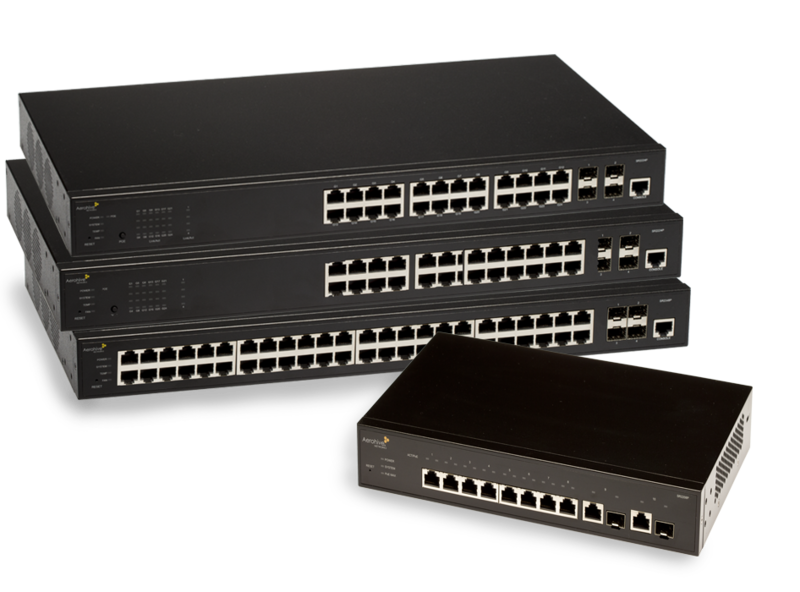 The SR2124P is a premium switch with a high-power budget and extensible uplink capacity. The SR2148P is powerful switch with premium port density and ultra-high-power budget.